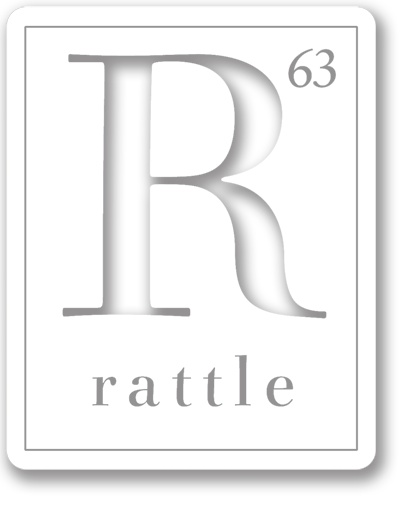 The latest in our always-popular career tributes, Rattle #55 features a collection of seventeen civil servants—poets who have worked for various government agencies, including the EPA, the FDA, the CIA, the Census Bureau, and many more. Apparently working for the public produces a dry sense of humor, because many of the poems lean sardonic. These poets are also smart and down-to-earth, and just may restore your faith in bureaucracy. In the conversation section, Alan Fox talks to formalist and translator A.M. Juster, also known as Michael Astrue, who served as Commissioner of the Social Security Administration. The winter issue also includes 21 poets in an eclectic open section, highlighted by haiku poets Penny Harter and Michael Dylan Welch, and former U.S. Poet Laureate Ted Kooser. Sandra M. Yee Your Shipwreck or Mine?